Author Interview: Debut Author Kristy Woodson Harvey’s Fourth Manuscript Is The One That Sold First! You are here: Home / DEAR CAROLINA / Author Interview: Debut Author Kristy Woodson Harvey’s Fourth Manuscript Is The One That Sold First! Today is launch day for Kristy Woodson Harvey’s debut novel, DEAR CAROLINA. Below, you’ll learn how Kristy mined her own life as a new mom to write this book that explores the bonds of motherhood in its many forms. I met Kristy through Tall Poppy Writers, a cooperative of women authors and am thrilled to help her celebrate her debut. Plus, she told me her mom’s book club read THE GLASS WIVES, and loved it (unsolicited, I swear!). Please help Kristy Woodson Harvey kick off her career as an author and welcome her to WFW! Debut Author Kristy Woodson Harvey’s Fourth Manuscript Is The One That Sold First! Amy: Was there one moment when the idea for DEAR CAROLINA came to you or was it a slow simmer of a story? Kristy: It was definitely a moment! I wrote DEAR CAROLINA right after my son was born. My parents were staying with us, helping us get some sleep, and I could hear my son crying. So I got up, and, the second my dad handed him to me, he quit. I was holding him and we were staring at each other and I just remember having this moment and thinking, “I am a mother. I am someone’s mother. This is my child.” And then I remember thinking, “What would have to happen in your life for you to be able to give this person up? What would it be like to give away the most important part of yourself? And, on the flip side of that, what would it be like to adopt a baby knowing that your child would always have this deep biological connection with another woman. The characters of Jodi and Khaki came to me then, and, as weird as it sounds, in those couple of seconds, I just knew what this whole story was. It was sort of like how people talk about their life flashing before their eyes, and it’s just an instant but they see the entirety of it laid out before them. That’s what the idea for this book was like. I knew two things then: One, that making the decision to give up your child is the most selfless act and the greatest gift that one woman could give another. And two, I knew that that feeling a deep and almost heart-breaking love for your child didn’t have to do with giving birth. It came from that passionate knowledge that you would do anything to protect this person forever. And those two thoughts really drove the writing of this novel. Amy: Some of my characters arrive with their names. For others I have to find the right name. How did you decide on the name Khaki? Kristy: I love it! Thank you so much! Khaki is a fairly common nickname for Katherine, I guess, but I thought of this nickname in a more literal sense. (And her real name is Frances, not Katherine anyway!) We have several good friends who are farmers and a lot of them wear all-khaki outfits when they’re working. I could just picture this tiny girl, thinking her father hung the moon, riding around with him on the tractor in her all-khaki get-up too. And, since she and Graham have known each other for a long time, it seemed like it would be right for him to give her that name that stuck with her forever. Amy: What’s your writing style? Do you outline? Wing it? Has your method changed since writing your debut novel? Kristy: DEAR CAROLINA is my debut novel, but actually my fourth manuscript. I’ve never outlined. Even in school, I would write the essay first and then go back and make an outline to go with it when we had to turn one in! That doesn’t work for me because, so often, the characters end up doing things totally differently than I would have originally thought once I get to “know” them! My first two “practice” manuscripts that I never did anything with were written in third person because I read a writing book somewhere that said first-time authors should always write in third person. But, I wrote my third manuscript in first person, and in that one, I felt like I had really found my voice as a writer. I queried that one and ended up signing with an agent for that third manuscript, which is a bit of a prequel to DEAR CAROLINA, but DEAR CAROLINA ended up selling first. I generally start writing with those scenes that won’t let me sleep at night, no matter where they are in the book. I write big “chunks” of a manuscript, piece them together in a way that makes sense and then add chapters that make the book flow. It’s a little nuts, but it works for me! Amy: Have you been surprised by anything in the publishing process—whether positive or negative? What has your biggest lesson been so far? Kristy: One, you have to be crazy, crazy patient. Unbelievably patient! It’s a long, slow process. But I think the biggest surprise has been the way that people have reached out and really helped me, especially during the promotion process. Amazing bloggers like you, Amy, who have taken the time to share my book with your readers, random people I’ve never met who will email to say they asked their bookstore to carry DEAR CAROLINA, early readers who have shared very personal stories with me about the impact this book had on them… I’m an eternal optimist, but, even if I wasn’t, I think it has really affirmed my faith in the goodness of people! It has been a huge gift. Kristy: I found my editor through a writing contest, which was something I never expected. I say you have to be at the right place at the right time, which means you need to be a lot of places! I had never been to a writing conference when I got my book deal, simply because I was pregnant and then nursing, so it wasn’t practical. But, now I’ve seen that the connections you can make there are so invaluable, at any point in your career. If there’s something you can feasibly do to get your work in front of the right people, do it! No one else is going to care as much about your writing as you do. And, also, keep writing. Even after I’d signed with an agent for my third manuscript, I was working feverishly on my next book, not waiting around for him to sell it. And that was great because DEAR CAROLINA ended up selling first! Kristy Woodson Harvey holds a degree in journalism and mass communications from the University of North Carolina at Chapel Hill and a master’s in English from East Carolina University. 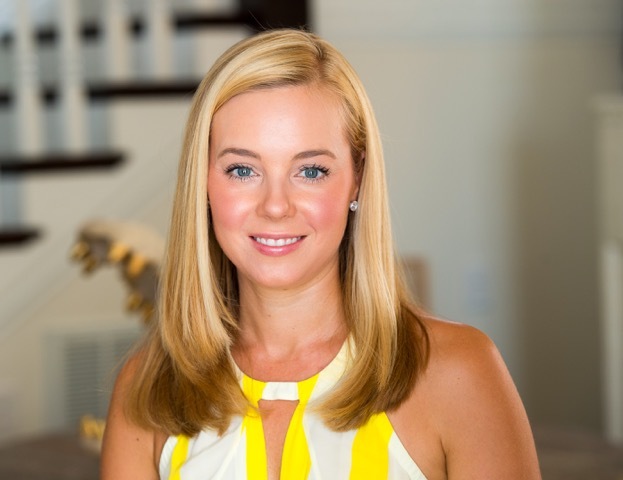 She writes about interior design and loves connecting with readers. She lives in North Carolina with her husband and three-year-old son. Dear Carolina is her first novel. Check out DEAR CAROLINA online at B&N or Amazon or at your local independent bookstore. If you’d like to learn more about the authors and books of Tall Poppy Writers, click here. Kristy, congratulations on the publication of your first novel. I look forward to reading it. Struck by the many parallels between our writing process and experiences….oh, the patience required! A writing contest also jump-started my fiction writing a few years ago, and now I’m waiting on the fate of my first novel, Deliver Her, which hinges on the mother-daughter bond. (Although with two daughters in their twenties, I am quite a bit further along in the parenting process than you.) But I am not waiting idly, because as we well know, there are no guarantees. Wishing you continued success in your literary career. Thank you so much! That’s so neat that our writing processes are so similar. I’m not the only crazy one 😉 Haha! Congratulations, Kristy! I love the concept of your novel and I wish you great success! Thank you so much, Lori! That means so much to me! I agree with Kristy–this is an absolutely stunning cover. And I think you’ve really done well, publishing your first novel after only four manuscripts 🙂 I think I had about eight books done before I sold my first one. Congratulations! Oops–meant to say that I agree with Lori about your cover! My fingers were moving faster than my brain…it’s still early here! I knew what you meant 😉 Thank you for your kind words about my cover! Glad to know that someone just kept writing, Holly! I wanted it to be right before it was out in the world. I’m sure you felt the same! Thank you, Amy! Some days it’s dicey 😉 Hahaha! But he’ll be in school all day in another eighteen months or so, and I know I’m going to look back and miss this time, so I try to savor it! Loved this interview, ladies. Wonderful to see another aspiring author who didn’t give up and who achieved her dream! Congratulations on your launch Kristy and on your fortitude! And thanks for a great interview. I very much appreciated your sharing the process that works for you. I like the idea of writing out those big chunks first and am going to try that on a rewrite of at least one languishing manuscript. 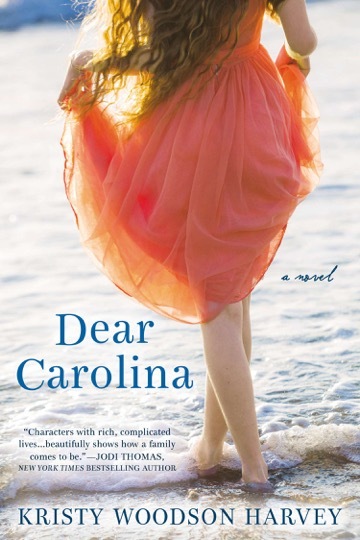 I look forward to reading Dear Carolina. Adoption touches so many people. Thank you, Jeanne. I appreciate your kind words. I like writing the “chunks” too! It does seem less daunting, I think!